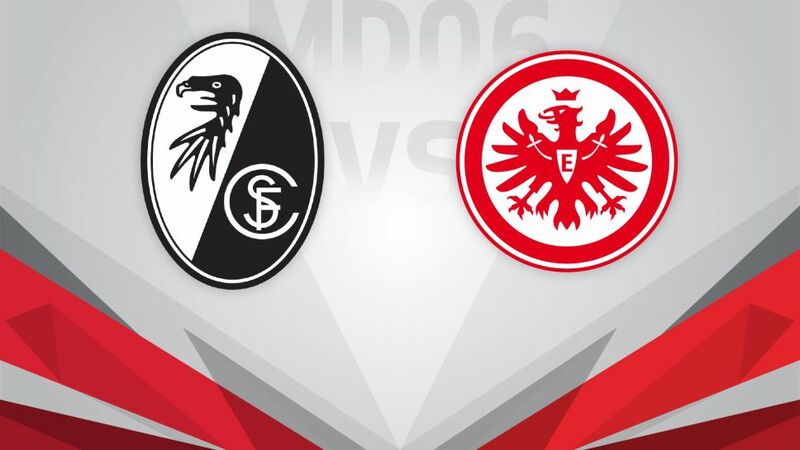 SC Freiburg will look to get back to winning ways when the welcome high-flying Eintracht Frankfurt to the Schwarzwald-Stadion on Saturday afternoon (kick-off 15:30 CEST/13:30 GMT). Freiburg's 24,000-capacity Schwarzwald-Stadion boasts a stunning back-drop, given the proximity of the Black Forest. The Black Forest club have alternated wins and losses since returning to the top-flight as Bundesliga 2 champions in 2015/16. Christian Streich's men were beaten 3-1 by the free-scoring Borussia Dortmund last Friday, though the performance of young Turkey centre-back Caglar Söyüncü draw high praise from the coach. "I do not know if I would have been able to play like that at 20," he said. Head to the Match Centre for more information. Eintracht are four points yet seven places better off than Freiburg in fifth. Die Adler played out a thrilling 3-3 draw with Hertha Berlin last time out, with Chelsea FC loanee Michael Hector snatching a share of the spoils in the final minute at home to the capital club. Freiburg have won their last eight home games – a record for Breisgau side.Freiburg’s six goals this season have all come in the second half. Frankfurt, on the other hand, have conceded four out of their five goals against in the second half. Nils Petersen scored a hat-trick the last time the sides met in the Bundesliga.This is Frankfurt’s second-best start to the season since the introduction of the three-point system in the Bundesliga.Frankfurt have not lost in three games – the longest streak to date under coach Niko Kovac.Kovac never lost a match during his playing career against SC Freiburg (seven wins and three draws), this is, however, his first game against Freiburg as a coach.